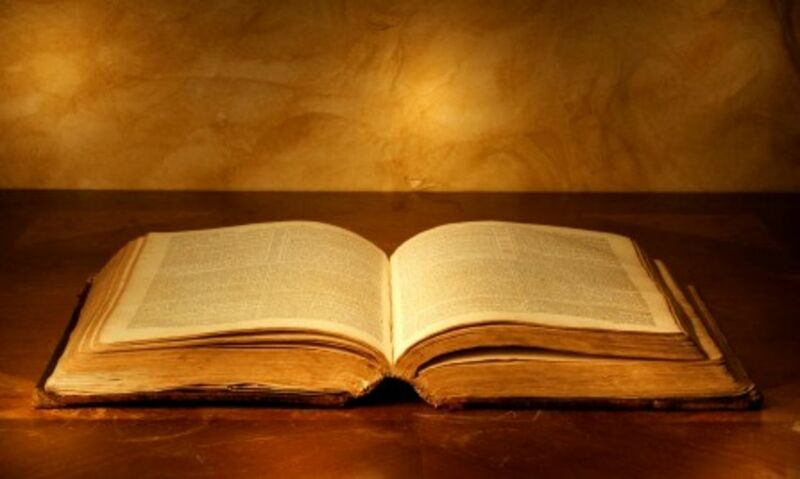 The Bible is a collection of books that are canonized in Judaism and Christianity and are considered holy and sacred. Different sects and denominations may have different books in their canons. Below are 39 books from the Old Testament and 27 from the New Testament – all of which list the author and chapters, as well as the approximated dates it was written. The term “genesis,” which refers to the origin of something, is an apt name for this book. It covers the beginning of life, mankind, nations and the redemption for sin. Genesis also tells the stories of the major patriarchs of the human race, including Adam, Noah, Abraham, Isaac, Jacob and Joseph and prophecies of God’s “Chosen People”. The book of Exodus tells the story of God’s chosen people delivered from slavery through Moses, a prophet. It tells of their 40-year journey through the desert on the way to the Promised Land. The giving of the Ten Commandments and instructions for building of the Tabernacle are detailed in this book. This third book of the Bible details the laws and rituals given to the Tribe of Levi, the priestly tribe. Some of the common themes throughout Leviticus include God’s holiness, the reason mankind needs atonement for sin, and the reason for a mediator between God and man. Numbers tells of how God’s people were supposed to inherit the Promised Land, but forfeited the right because of continued sin and complaining. As a result, God judged many who were not faithful to Him. This book concludes with the next generation of Israelites under the leadership of Moses. This last book of the Torah includes three speeches given by Moses to the Israelite. These include a summary of the previous generation’s 40-year journey, an encouragement to follow the law, comforting words regarding repentance and the importance of the allegiance to One God. Joshua bridges the first five books of with the historical books. The first 23 chapters discuss how the land is divided for the tribes in Israel. The last two chapters include speeches from Joshua which challenge the hearers to renew their commitment to God and to keep the law of Moses. This book helps describe the leaders of Israel from the time after Joshua died until Samuel’s birth, which is often referred to as an age of darkness for Hebrews. There are 13 judges discussed in the book, but the three most prominent ones are Gideon, Deborah and Samson. Ruth shows a brighter side to Hebrew history than the previous book – Judges. It discusses the loyal devotion and relationship that Ruth had to her mother-in-law and the love that the two had for each other. Samuel was a major figure in Hebrew history and these two books together tell his story. The narrative discusses the time from the birth of Samuel until King David’s reign comes to an end. The first book focuses on Israel’s switch from judges to a monarchy while the second book focuses on a theocratic monarchy ordained by God. Continuing from the two books of Samuel, I and II Kings recount King David’s final days along with the fall of Israel (721 BC) and Judah (586 BC). All four books combined show how Israel rose, divided, and fell. The two books of Chronicles help tie up some loose ends from the previous books. They summarize much of the Hebrew history that was discussed in the previous four books with mentions of earlier times that date back to Genesis. Ezra is one of the most respected people in Hebrew history because he helped lead a large number of exiles from Babylon back to their home in Jerusalem. The Book of Ezra tells of this harrowing act and how he cleansed the community upon his return. This historical book discusses the details of rebuilding the city of Jerusalem following the return of the Jews from Babylonian exile. Along with Ezra, these two books are important because they include firsthand information concerning the months and years immediately after the exile. Esther was a Jewish queen who risked her life to save many Jews from being killed. This book tells of her struggles and how she rose to the position of queen and her loyalty to her people. This book speaks to the eternal question, “Why do good people suffer?” It includes conversations between God and Satan about Job, a righteous man. When Job loses everything he has in life, how does he react? The word Psalms translates to “The Book of Praise.” These 150 chapters were written by various authors, including David, Moses, Solomon and some anonymous authors. Throughout the book, the themes of trusting God and appealing to Him in our troubled times is woven into the poetic language. Written mostly by King Solomon, Proverbs is a collection of short sayings that have practical applications for everyday life. Some common themes include controlling your speech, how to have good relationships with others and other useful pieces of wisdom. This book written about King Solomon stresses the fact that everything “under the sun” is vain and the main focus should always be on things “above the sun,” or God. The author discusses the fact that everybody will die and the importance of fearing God and keeping His commandments. One of the more controversial books in the Bible is the Song of Solomon because many readers interpret it as having a sexual theme. However, this collection of marriage songs is more likely designed to depict Christ’s love for His Church. This book records the message of Isaiah, one of the major prophets of the Old Testament. The message includes judgment for sins, comfort for those who have been exiled, and in-depth descriptions of the coming Christ. When God’s chosen people turned their backs on Him, Jeremiah was the prophet who stood alone. He announces that Judah will be destroyed and he envisioned a time of a new covenant between God and His people. Lamentations includes five poems about the sadness of Jerusalem’s destruction in 586 BC. The writer of this book confesses sin for his people and prays for God to restore them to their home. Ezekiel was a prophet exiled to Babylon, which is where he received his calling to speak to the people for God. The first half of the book discusses events occurring before the fall of Jerusalem and God’s judgment for sin. The second half is more encouraging with words of hope for those exiled who want to return to their homeland. Many look to the Book of Daniel as one of the apocalyptic visions of the end of time. Others see it as little more than a series of visions about the circumstances the people found themselves in during the exile. There are graphic descriptions of events that ultimately refer to victory for God’s people. During one of Israel’s darkest hours, God called the prophet Hosea to be his spokesperson. Hosea was a brokenhearted man because of the people’s indifference toward God, but his wife’s infidelity just made things worse. The prophet pleads with his people to repent and turn back towards God for compassion in their lives. One of the major themes of the Book of Joel is repentance for sins. The prophet Joel describes a horrible drought combined with a plague of locusts followed by blessings from God and the coming judgment. The book is often discussed as symbolic of an apocalyptic future. Amos was one of the most intolerant prophets regarding sin and he was not afraid to confront it with his people. He speaks a lot about God’s judgment on sin, but he concludes his message with the promise that God will restore those who are righteous. Although Obadiah is only one chapter, it is a powerful book that tells of the destruction of Edom for its sins. Much of Obadiah’s message is regarding God’s judgment on the sinful nations. The Book of Jonah tells a story about a prophet whom God told to go preach to a certain city, but he turned and ran the other way. After being swallowed and coughed up by a giant whale, he reluctantly did what God told him to do. Micah brought a message that was not unlike Amos’ message. He denounces sin without apology and uses bold language to do so. This prophet also predicts the birthplace of Jesus and tells the people of assured deliverance through the coming Messiah. These three chapters discuss the destruction of Nineveh, which was the main city in Assyria at the time. His words were designed to bring comfort to those he spoke to by telling them that God would soon destroy their oppressors. Habakkuk records a dialogue between this prophet and God Himself. After Habakkuk questions the Lord, he comes through the conversation with a stronger and better understanding of his faith. The Book of Zephaniah continues the themes of most prophets – God’s judgment and His promise of salvation. Like the others, he strongly encourages his people to repent so God can dwell with them. Following the exile, Haggai prophecies on behalf of God about things to come, including rebuilding the second Temple which was delayed for over 20 years. As with many of the prophetic books, Zechariah’s is seen as being symbolic of the apocalypse as well. The first part of the book discusses the construction of the Temple. The last several chapters, however, discuss the “end times,” including the judgment of God on all nations and the restoration of Israel. Malachi is the last book of the Old Testament as well as the last words spoken by God through a prophet for the next 400 years. It tells of God’s blessings for those who repent, how God will purify and judge all nations and the return of Elijah. The Gospel of Matthew was written with a Jewish audience in mind. It is the most comprehensive of the four gospels because the author’s purpose was to convince the Jews that Jesus was the Messiah they had been expecting. Although Mark is the shortest of the four gospels, scholars believe it was the earliest one that was written. Instead of beginning with the birth of Jesus, Mark starts his gospel off with the beginning of Jesus’ ministry. This book’s focus is on the miracles of Jesus to show that He was the divine Christ. The purpose for the Gospel of Luke was to show that Jesus was both a teacher and a healer. As a physician, Luke focused on the details that he found as a result of interviewing eyewitnesses for firsthand accounts of Jesus’ life and works. John often refers to himself as the “disciple whom Jesus loved” throughout his gospel. His focus is on confirming that Jesus was indeed God’s son. In addition to describing events much like the three previous gospels, John also interprets them in a spiritual context. This is the only historical book in the New Testament, but it describes the development of the early church following the death and ascension of Jesus. It begins with a discussion of the days in Jerusalem following the event and then describes several missionary endeavors by the apostles and more. The Apostle Paul wrote much of the New Testament and Romans is the first and longest book with his authorship. These books are actually letters to various churches. This is a letter to the Roman church and it discusses salvation, God’s grace, sin and spiritual advice for all readers. Paul’s letter to the church at Corinth is about many things, namely a description of various spiritual gifts, how to love one another in Christ, the importance of Jesus’ resurrection and more. The first section of this book also discusses some doctrinal issues that were plaguing the church at the time. Some people at Corinth were questioning whether or not Paul was a real apostle of Christ, so he wrote this letter in defense of his apostleship. He also discusses how to care for the poor who live in Jerusalem. Paul’s main focus when writing to the Galatians was the freedom that is found in Christ. He discusses the problem with placing too much importance on the Law as well as other Christian doctrines, including the fruits of the spirit and the fruits of the flesh. The main theme throughout Ephesians is that the church is essentially the body of Christ. Paul discusses how fellow brothers and sisters in Christ should be unified in purpose and how they can fight against spiritual warfare by living a holy and pure life that is inspired by Jesus Christ. While imprisoned, Paul pens a letter to the church in Philippi to thank them for their generosity and their love. He goes on to discuss how Christ was humble and how His servants should be the same way. He also discusses his goals of being perfect while maintaining humility in his life. Paul stresses the fact in Colossians that Jesus was around when the world was created and how Christ rules supreme over all creation. There are also some rules of conduct discussed, including ideas about food consumption, heresies, and more. In this letter, Paul tells the church at Thessalonica that he is sending Timothy, a delegate, to them. He discusses issues like relationships between fellow Christians, mourning loved ones who have passed on and the importance of preparing themselves for God’s return. As with all his letters, Paul opens II Thessalonians with a greeting and encouraging words. One of the major themes in this letter is the second coming of Christ. Paul tells the people of the church to stay firm in their beliefs so they can be ready when the Day of the Lord arrives. Paul’s first letter to Timothy, his younger colleague, discusses instructions and responsibilities for operating a church body. Paul warns Timothy about several issues that he will encounter, including false doctrines, how women can serve in the church and the qualifications someone must have before being a church leader. Because Timothy was young, Paul wanted to encourage him as much as possible. In this letter to the young Timothy, Paul tells him to be bold in spirit and to be unafraid when telling about Jesus. Titus was another young preacher whom Paul mentored. Much like the letters to Timothy, Paul writes this epistle to help encourage Titus to stay strong. He also discusses issues that Titus will likely encounter and the best ways to deal with those problems as they arise. Philemon was a runaway slave in search of freedom. Paul writes this letter to the slave’s owner to plead with him to forgive him and let him return as a brother in Christ. The Epistle of Hebrews was written to a group of Christians who were thinking about going back to the ways of Judaism. The author (possibly Paul) discusses how Jesus reigns over the Old Testament and performed the ultimate sacrifice for their sins. The Epistle of James has a lot of information for Christian believers. The sections range from discussing faith and wisdom to being friends with the world and tips for controlling your words. There are also warnings about being boastful, being partial and loving money. Peter wrote this epistle to warn of potential discrimination and persecution of Christians, either in the present time or many years in the future. He encourages believers to be steadfast and to rejoice in their sufferings because of the rewards that await. This epistle is more encouragement to believers for when they face persecution. Peter reminds them that there will be false teachers who will try to preach a different message than what they have learned. He stresses that it is important to remember that God will keep His promises to those who remain faithful. These three epistles, written by the same person who wrote the Gospel of John, are addressed to different people. The messages throughout these three letters include fellowshipping with other believers, loving each other, how to walk closer to God and other topics related to the Christian lifestyle. The main focus of this short book is to expose false prophets and teachers who try to lead believers astray. It discusses the importance of faith and knowing what you believe in order to resist false teachings. This is one of the most discussed and controversial books in the Hebrew Bible. Many scholars believe it is a detailed and graphic look into the future to the end of time as we know it. Others believe it is a description of the Roman Empire.